Japanese Charvel Guitars, Charvel Toothpaste Logo, Charvel Model Series, Charvel Import Models, Japanese Charvels, whatever you call these Charvel Jackson guitars they are rapidly gaining value. A Model 1 Charvel with a maple neck, Model 2 Charvel with a single humbucker, a Model 3 dual humbucker, did you know a model 4 had "active circuitry" and a model 5 was 24 fret? A Model 6 Charvel is a neck through and looks like a Jackson but its a Charvel Import. This all seems very confusing. 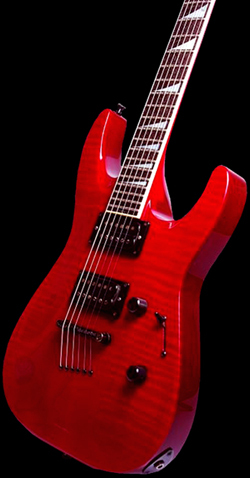 If your interested in Jackson Charvel guitars that were made in Japan in the 1980s youve come to the right place. If your guitar has a Fort Worth Texas neck plate and is not a San Dimas era Charvel you will find the information here that you are looking for. Dig in because those made in Japan Charvel guitars and everything you would like to know about a Charvel Import will be here.